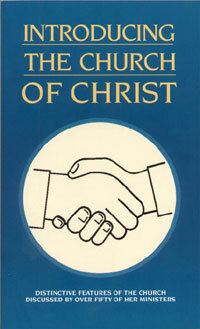 As a people of the Book, members of the church of Christ have profound respect for the inspired writings of the Bible. All scripture is profitable for doctrine, reproof, correction, and instruction in righteousness (2 Timothy 3:16-17). One matter of concern, however, is the relation of the Old Testament to the church today. This article will discuss this point both negatively and positively. I. The Old Testament is not the law for the church. Jewish sympathizers sought to bind the Old Testament on the church in the days of Paul (Galatians 5:1-29; Galatians 2:1-5). Modern day religious groups seek to bind parts of the Old Testament on Christians, i.e., Seventh Day Adventists, etc. Various people have lingering questions and concerns about the matter of how we relate to the Old Testament. The following truths make it clear that the people of God are not under the authority of the Old Testament today. 1. The Old Testament law was given to a specific group of people, the Jews, and was never said to have been given to anyone else, Christians included. God said to Moses, "...I have made a covenant with thee, and with Israel" (Exodus 34:27). The "children of Israel" were "to observe the Sabbath throughout their generations" as a sign between "me (God) and the children of Israel forever" (Ex. 31:16-17). God made the Mosaic covenant with the Jews of Moses' day, not with others (Deuteronomy 5:1-3; Nehemiah 9:13-14). 2. The Old Testament law was only temporary and was, consequently, to come to an end. Jeremiah foretold this fact and the Hebrew writer declared its fulfillment (Jer. 31:31-34; Heb. 8:6-13). God indicated that a new covenant, different from the covenant through Moses, was to be given; the Hebrew writer set forth its accomplishment. He then explained that in his day the old was "ready to vanish away" (Heb. 8:13) and that indeed "there is made of necessity a change of the law" (Heb. 7:12). 3. The Old Testament law was nailed to the cross of Christ and thereby was brought to an end as a law to guide God's people. Paul declared that Christians are "dead to the law by the body of Christ" and that this law was the law which said, "Thou shalt not covet", i.e. the ten commandments law (Romans 7:4,7). Elsewhere, Paul indicated that the veil which was "untaken away in the reading of the Old Testament . . . is done away in Christ," the reason being it was "done away" (2 Corinthians 3:14,11). Christ "abolished in his flesh . . . the law of commandments by the cross" (Ephesains 2:15-16). In fact he was said to have removed the "handwriting of ordinances by nailing it to his cross" (Colossians 2:14). The result is, then, that the Old Testament as a law for God's people was removed by the death of Christ. Christians, therefore, are not to observe the Old Testament as the law for God's service today. II. The Old Testament, though not the regulative will of God today, is still of much practical value for the Christian. Two valuable passages on the usefulness of the Old Testament are Romans 15:4 and 1 Corinthians 10:11. These verses show that the Old Testament has value for our "learning," "admonition," and "patience and comfort." 1. The Old Testament supplies much material for our learning. This relates to: (a) Fundamental questions such as the origin of the world (Genesis 1:1; Psalm 33:6,9), the origin and nature of man (Genesis 2:7, Zechariah 12:1), the origin of sin (Gen. 3:1-6) and the beginning of the Hebrew nation (Gen. 12:1-3); (b) Essential information for the understanding of the New Testament such as the history of the Jewish people from Abraham to the end of the Old Testament; the understanding of Jewish events and activities mentioned in the New Testament, i.e., Passover, Pentecost, Sabbath, shedding of blood, etc; biographical allusions in the N.T. to O.T. people i.e., Elijah (Matthew 17:1-9), Moses (John 1:17), Adam and Eve (1 Timothy 2:12-15), etc; and back- ground for geographical allusions such as Jerusalem, Jordan, Samaria, etc. These bits and pieces of Old Testament allusion in the New Testament are better understood by a knowledge of the Old Testament. (c) Important information about Jesus and his way of life such as his genealogy (Matt. 1; Luke 3), the prophecies which pointed to his coming (Psalm 16:8-10; Isaiah 53, etc. ), the failure of the blood of bulls and goats to take away sins (Heb. 10:1-2), and various essential words such as sin, righteousness, holiness, prayer, etc. Thus, the understanding of Jesus and his way is aided by the "learning" of the Old Testament. 2. The Old Testament supplies many admonitions for guiding and warning man. These include: (a) Admonitions concerning man's weakness such as the control of the heart (Proverbs 4:23), the danger of jealousy (Prov. 6:34-35) and of covetousness (Ex. 20:17; Joshua 7:1ff), and the "deadly sins" (Prov. 6:16-19). (b) Admonitions which show the need to obey God such as the examples of obedience in Hebrews 11, Joshua at Jericho, Naaman, Noah, etc. (c) Admonitions concerning the meaning and punishment of unrighteousness such as the sin of David (2 Samuel 11; Psalm 51), of Saul (1 Sam. 15), of Nadab and Abihu (Leviticus 10), and of Balaam (Numbers 22). These admonitions, by precept and example, show the need of proper service and character for God's people. 3. The Old Testament provides for our patience and comfort in various ways. There are excellent readings which tell of God's care and keeping of his people (Psalm 23:27; 103; 121, etc.) Also, there are examples of his keeping of his servants such as Job (Book of Job), David (Psalm 37:25-26), and Joshua (Josh. 1:5-9). In addition, the care God provided for the Jewish nation, in spite of its frequent failings and sins, serves to show his interest and provision for us today. The Old Testament, then, should not be regarded as the Law of God's people today since as a law it served its purpose, was fulfilled, and removed from authoritativeness by the death of Christ. The Old Testament, however, should be treasured as an inspired book from God which supplies means of our learning, admonition, patience and comfort. Name a group, which maintains that the Old Testament, in whole or in part, is binding on Christians today. True or False. The Sabbath commandment, as well as the Old Testament law in general, was given only to the Jews? True or False. The writer of Hebrews stated that the Old Testament law was still binding? The New Testament teaches that the Old Testament law was nailed to the --------of Jesus. How can the Old Testament be used for our admonition?